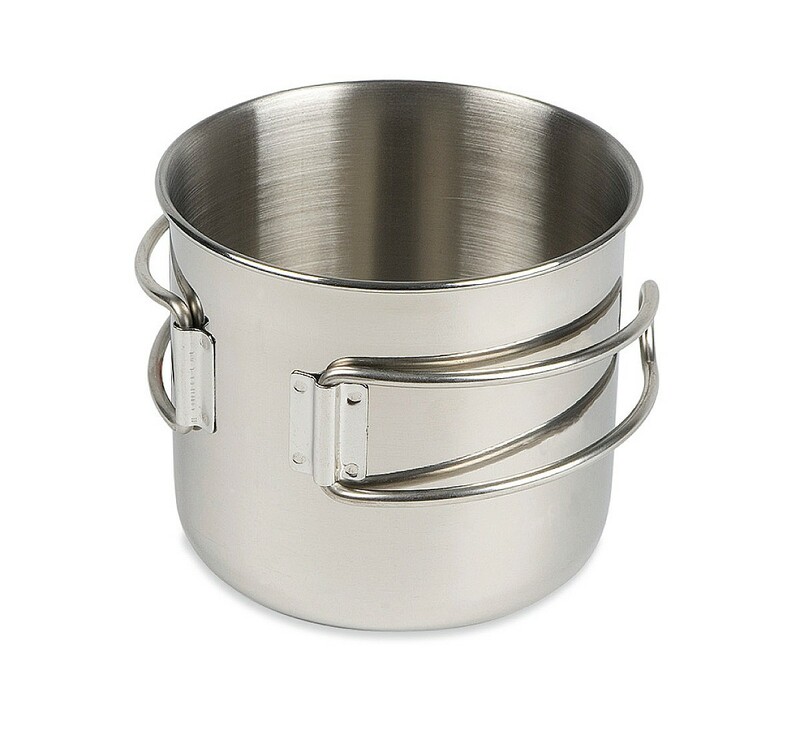 Stainless steel mug with folding handles, volume scale on inside and 500 ml capacity. Perfect for camping, trekking or festivals. 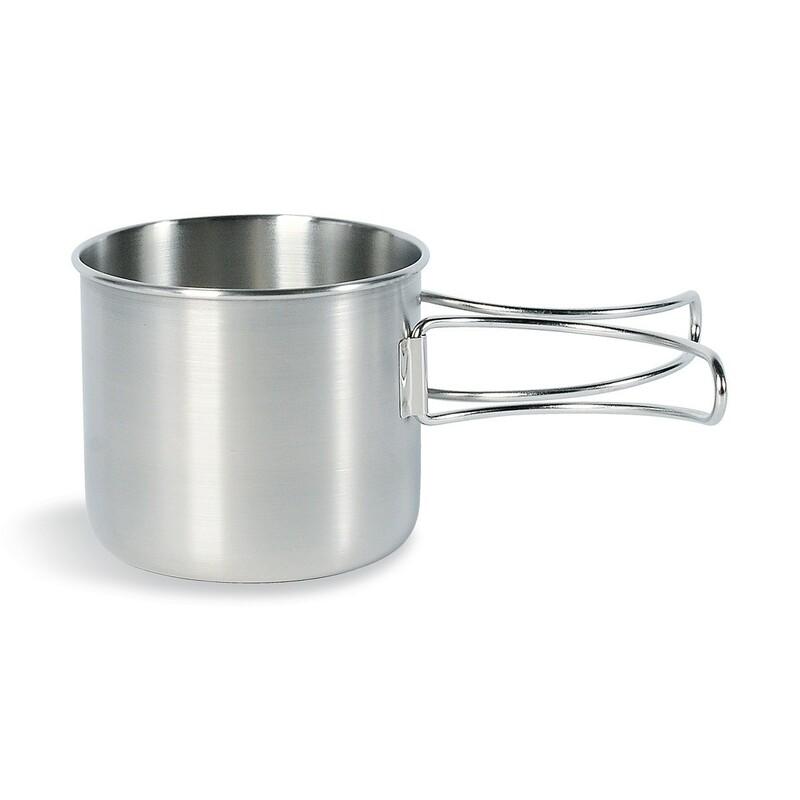 The stainless steel cup Handle Mug has folding handle, a volume scale on inside and 0,5 litre capacity. It is tremendously popular with packing experts because it fits perfectly around the classic American Nalgene bottle (1 litre). With measuring scale.